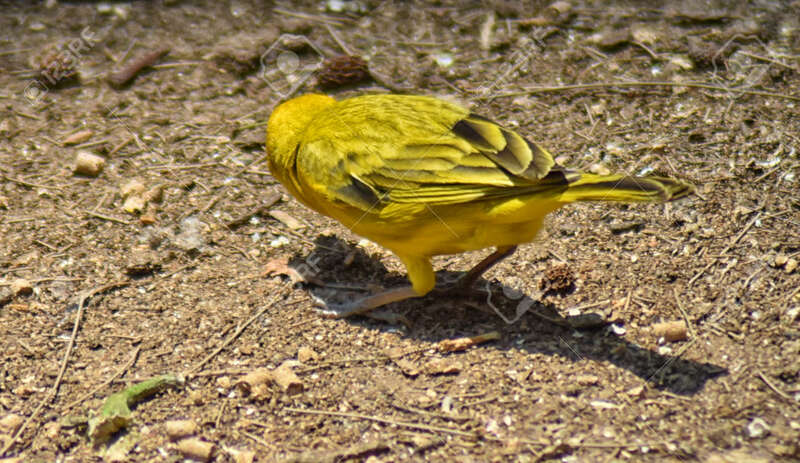 Saffron Finch (Sicalis Flaveola) Collecting Seeds. Rear View Stock Photo, Picture And Royalty Free Image. Image 95722277.